Gundlach, who oversees more than $100 billion at Los Angeles-based DoubleLine, said the firm went "maximum negative" on Treasuries on July 6 when the yield on the benchmark 10-year Treasury note hit 1.32 percent. Currently, the yield on the 10-year Treasury note is 1.45 percent, which has translated into some profits so far for DoubleLine. "The yield on the 10-year yield may reverse and go lower again but I am not interested. You don't make any money. 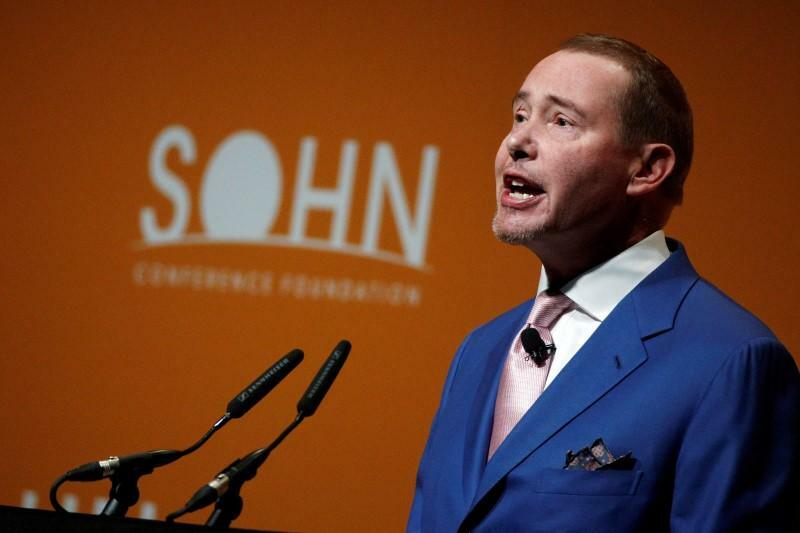 The risk-reward is horrific," Gundlach said. "There is no upside" in Treasury prices. Gundlach lambasted Federal Reserve officials yet again for talking up rate hikes for this year while the latest GDP data showed disappointing economic growth. "The Fed is out to lunch. Does the Fed look at what's going on in the economy? It is unbelievable," he said.